One Day to a New Look! Looks like a showroom floor, right in your own garage. The My Gorilla Garage system is a proprietary polyaspartic polyurea garage floor coating that delivers unmatched performance, with a virtually unlimited color palette! The My Gorilla Garage floor system is an “elastomer,” which means it has some stretch and give as concrete settles and moves. So you maintain a waterproof, corrosion and chemical resistant floor long after it is installed. This includes gasoline, oil, salt and other contaminants. Even better, we are able to apply the system in just one day, all year! 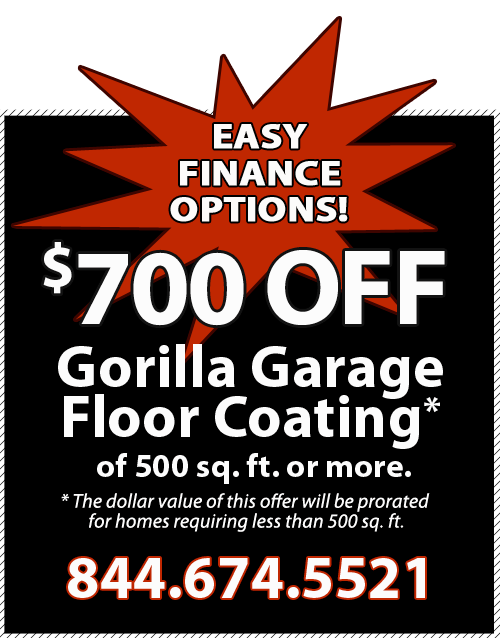 We believe in the Gorilla Garage floor coating product so much that we offer a warranty good for as long as you own your home! Our expert installers are professionals at installing the My Gorilla Garage floor coating system. We do it right, the first time! As one of our installers jokingly says, “We like our customers, but once we install it, we don’t want to come back.” That means we take extra steps to ensure your floor coating is applied correctly. This includes a full moisture test of your concrete surface — this is a crucial step — and we fill and treat cracks and joints, and we’ll even prepare knee walls! 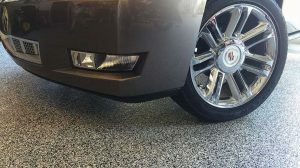 One of the best features of the My Gorilla Garage floor coating system is the huge number of color options and patterns available for your garage floor. 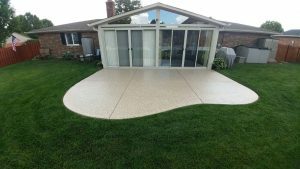 Color is attained through “color flakes” of resin and other safe, durable materials and you can choose from an existing pattern or blend, or create your own custom color with help from our team. You can even mix and match — have one color for your steps, and a different pattern for your garage floor. Free Estimate & Easy Finance Options! Contact us today for a free, no-obligation estimate for your floor or concrete coating needs. Our experts are happy to answer your questions and explain the differences between various garage floor coating options. 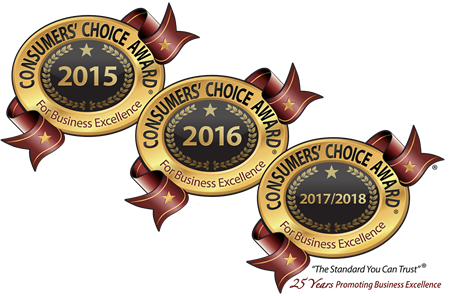 Call 844-674-5521 and be sure to ask about our special offers and great finance options!